your hard work with these Dartmoor ponies. 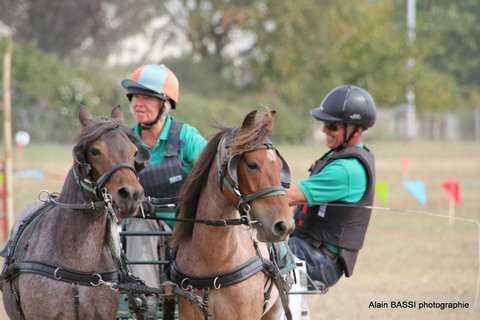 The original Pair of Chinkwell Rebels off spring two Bay Roan geldings doing their stuff successfully in France. Thank you Charlotte for the picture and update. Dont they look like Basil and Felix doing their stuff with Trisha! I took him to his 1st show yesterday and he was quite amazing. 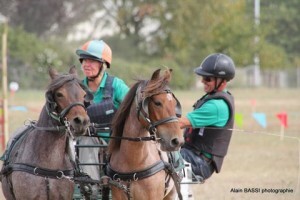 Firstly we took 2 others and he was left in the box on his own while we competed them. When I got him out it was as if he had been at shows all his life. An 8 yr old child could have led him around. He did have a look at the stalls and tents a bit but not in more than in a normal way. 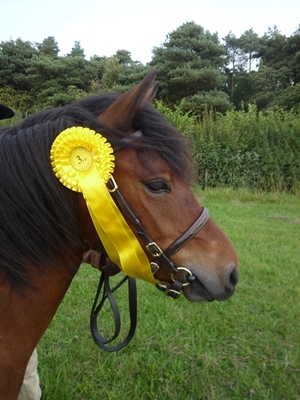 Everyone admired him and wanted to know what breed he was so I was full of praise for the Dartmoor heritage ponies. I had entered in a mountain and moorland small breed in hand(they didn’t need to be registered) but it was all ages .i think about 9 in the class and he came 3rd beaten by 2 very flashy welsh section A’s. I have enrolled my step grandson Noel to help me back him next week. 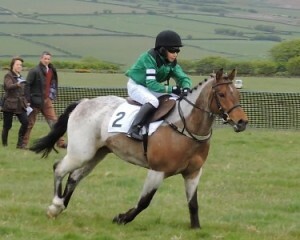 He is 12 and a keen pony racer. 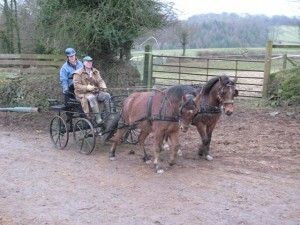 We will just ride him round the yard for a few days and leave it at that for this year. I can long rein him anywhere and he even comes into the tack room!! He still has the most amazing temperament. How many owners of Dartmoor Hill ponies with such a vast acreage to search in could find and catch the exact pony they want on a Saturday evening with failing light. 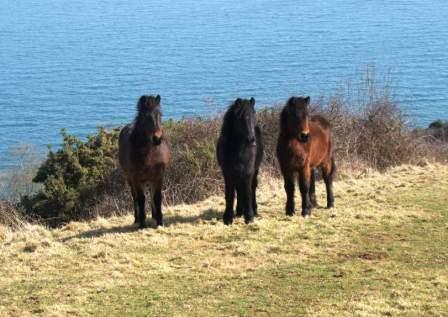 Under normal circumstances if you went to view a pony and were taken up on to open moor land you would think to yourself ‘ these people are barking mad’. I had given up hope. It was the one we wanted to look at, up pops his head and over he comes to us. Getting him off the moor was just as easy, he loaded on the side of the road. 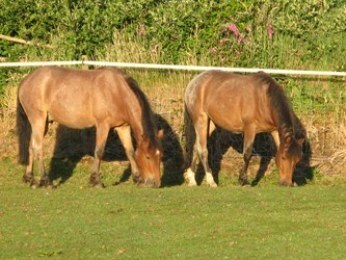 We have bought 3 roan ponies since 2009 and cannot fault them. All 3 Roans are now driving and Robin the chestnut we received 3 weeks ago is now in training. They are for our project which is to raise money for Teenage Cancer Trust and they are going to be driven in pairs from John O’Groats to Lands End next year. They are so easy to do a delight to own and my theory is if they were dogs they would be Labradors. Margaret’s ability to place you with the right pony is quite remarkable. “ We collected them at the end of May, and from that point on they have never ceased to amaze me with their attitude. They travelled back from Venton Farm with their heads out over the ramp of the trailer in appalling wet weather on the motorway, settled in as if they had been here forever”. 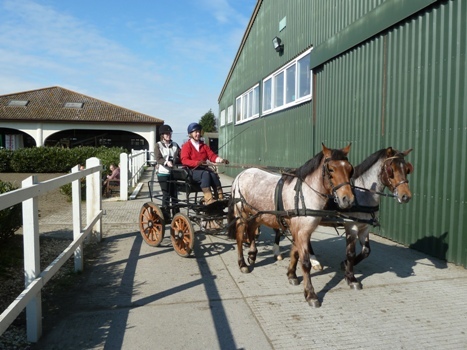 “I don't know where to start we drove Basil today, he is going to be brilliant in all ways. I need a good kid that really wants to do things. This pony is going to go places. Jonathan Waterer who is breaking him to harness has already said I cannot have him back they love him so much !!!!!! Whilst being there he has cleared a five bar gate without touching it. They are so impressed, as are we !!! ”. “Sue who lightly backed both ponies has just waxed lyrical about Felix, and she would like him back for her grandchildren in the summer !!!!! She reckons if he were 15hh he would be worth serious money because of his makeup and attitude. Charming was one of her words”. “I cannot tell you how much fun I have had playing with these ponies. Their attitude to life never ceases to amaze me. They are kind loving people who just want to do and please. They don't eat much either”.